I purchased and imported my first American Miniature Horses – two lovely AMHA & AMHR mares – from the USA in November 2012. Today the foundation of my small yet high quality breeding program is a group of hand selected mares. 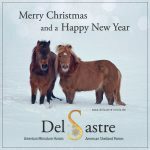 My horses are registered in the USA with the American Shetland Pony Club and/or the American Miniature Horse Association. 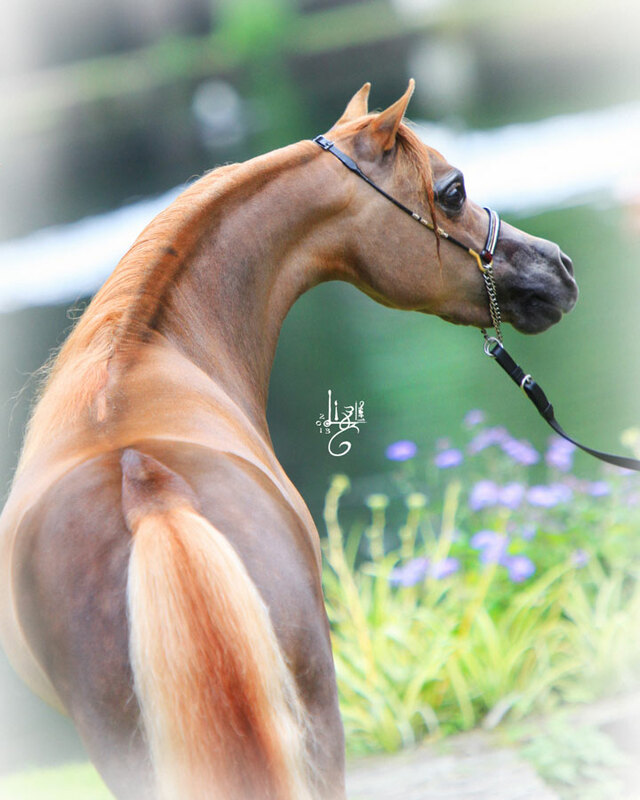 All my horses were chosen for their correctness, beauty and willing disposition. In addition they carry excellent and sought-after bloodlines. Some of them have been shown up to the highest level. They brought home many ribbons and trophies. Other mares are already proven producers. 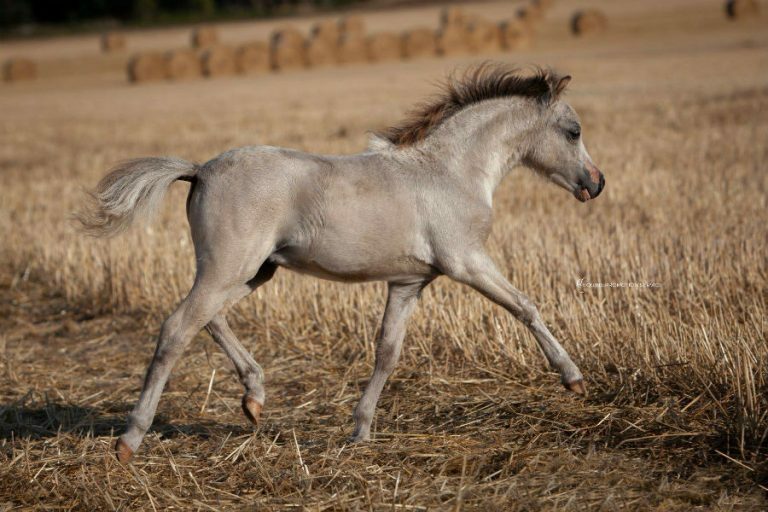 My goal is breeding an elegant and refined horse in miniature size. I strive for the proportions and the look of a big horse. The ideal are American Miniature Horses that have the quality to compete successfully in today’s show ring. We only have two foals per year. Each combination of mare and stallion is carefully selected. My aim is not quantity but quality and to get the best possible result. The very small number of horses also guarantees that every horse gets the attention and care it needs. 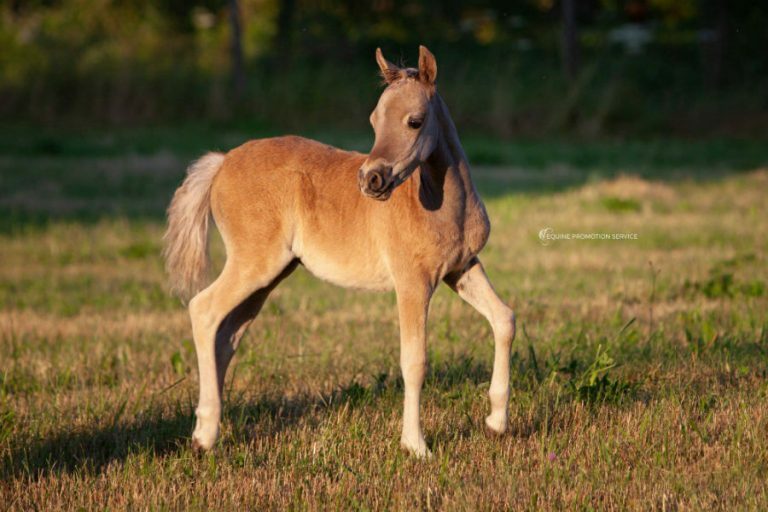 The small dishy heads, gracefully arched necks and long legs makes the Miniature horse stand out when compared with a native Shetland Pony. They are truly horses in miniature size. 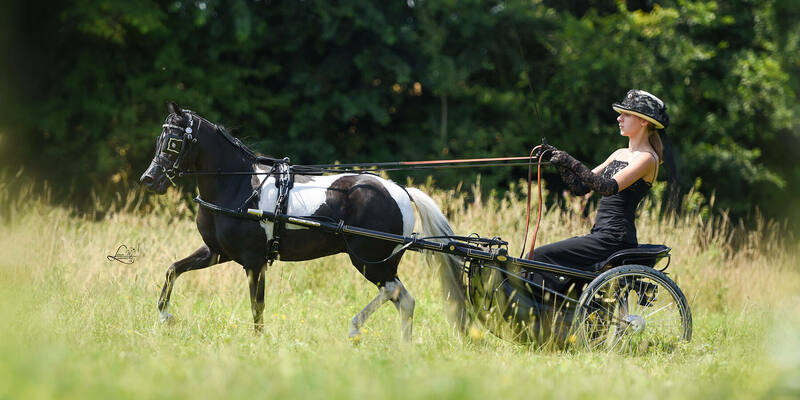 Besides only breeding with horses that leave nothing to be desired in every regard, the best keeping of my little horses with daily turnout, spacious stalls – no tiny cage-like stalls and muddy paddocks – and adequate feeding is very important to me. Every horse gets regular hoofcare, deworming and dental checkups by a specialist. American Miniature Horses are easy to keep and easy to handle even for the not very experienced person, they require much less work in regards of keeping stalls clean but they are just as much fun as a big-sized horse! 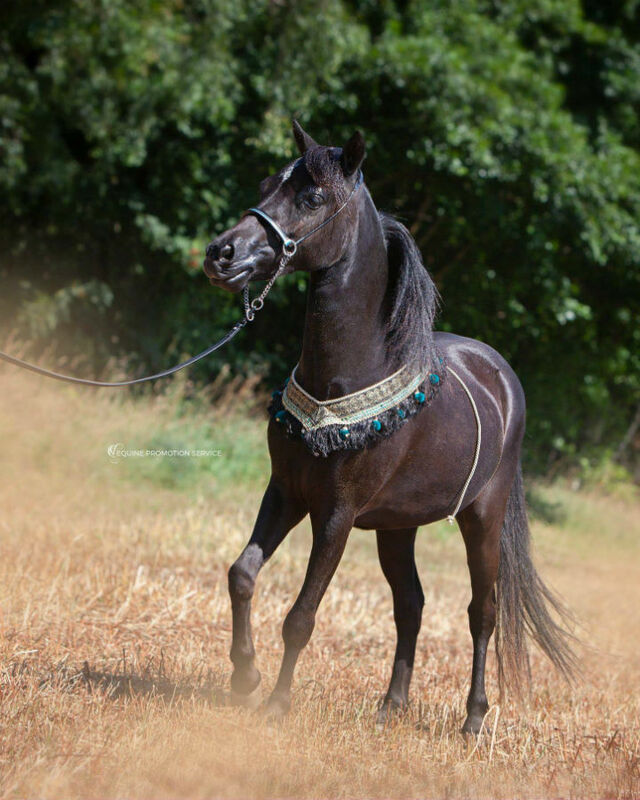 They love attention and are fast learners, they can easily pull a sulky and shine in the halter classes as well. 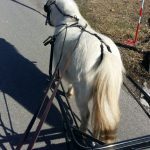 To answer the question everyone is asking about what you can actually do with a Miniature horse: everything – except riding!